What exactly do you want to achieve with your workouts ? To lose X pounds? Determine exactly how much . To earn tiles ? To get bigger biceps ? To fit in the pants that you can no longer zip up ? Define clear targets , so you can hunt them . Maybe it’s a wedding, which you have been invited to. Or a Meeting or class . Or any event. If you have an exact date to which you want to get in shape, it will be easier to maintain focus and concentration. If your goal is to take off 10 kg , it can rather discourage you , because it will happen slowly. And in time you will lose your motivation to train and take care of yourself. Instead, the largest target fragment the small targets. Start with 2-3 pounds – sounds much more feasible , right? Then continue with 2-3 and so on until achieving the great goal . If you are obsessive in training , it can have the opposite effect – it can make you get bored of them. So do otherwise. Forget for a moment about the purpose and focus on the process. More precisely, on what pleases you . Make training fun – listen to music , use the time to rest your mind , etc. This will help you perceive your time of training as a time for fun , not as a liability. This is essential in order to fight the boredom . Do not do the same exercises every day. Change the running with swimming. Try different sports. The more diversity , the better . If it is hard to motivate yourself , try to sign on any training or sport. Group is something that motivates you and if you work with other people , it can help you fight the boredom . Also, if you make new friends in this group it will be easier not to miss training. And keep it as follow other commitments in your schedule . So training will become a habit that will help you maintain your motivation . It is believed that a habit is established for 21 days , which means that you need this time to get used to doing your workouts , then it will be easier to keep practicing . 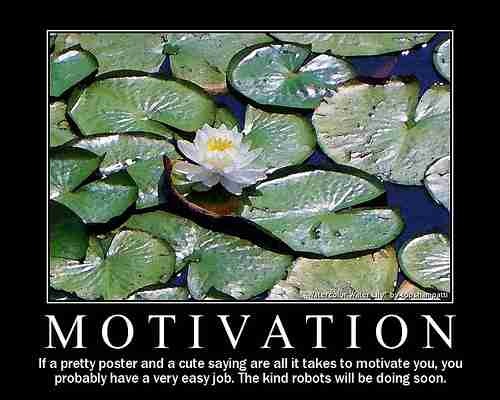 Motivation is different for different people. The important thing is to find what motivates you and never stop practicing. Do not let boredom and fatigue keep you from taking care of yourself. A circuit routine is excellent if you’re trying to get your entire body in shape, but you just don’t have much time to work out. A good circuit workout will hit all of the muscles in your body, pushing them to their limits with just a few exercises. You should aim to do a circuit workout three times a week, every other day. We’ve put together a simple circuit routine that you can do quickly and easily. Each circuit should take you only two minutes. This exercise hits your chest and it definitely makes the triceps burn. The focus, however, is on your anterior deltoids and trapezius muscles, helping to define them and increase them in size. It’s a great upper body workout that even hits some of the muscles in your back. This is a tough one to do, and getting it right will take some practice. Make sure to use the correct form, as it’s the best way to prevent injuries to your knees. Add weight if you can handle it, or just use your body weight if you’re new to this exercise. Mountain climbers focus on your core and, as it’s a high-intensity exercise, you’ll some cardio in too. This is an isometric (static) exercise for your upper body, but it’s the legs and core that feel it the most. Men want more mass , and women – are weaker – they say fitness experts quoted “Reuters ” . Hormonal and structural differences between male and female bodies define the various needs and goals in the gym . In men as healthy heart is particularly important because the whole heart problems occur in men at a young age. For this purpose, it is better to do cardio activities with low load such as cycling and swimming. Women , in turn, have often bone problems , especially over 40 years of age as well from a young age to focus on aerobic exercise hard enough as running, step aerobics and jumping rope. It is also important for everyone to practice in a way that makes him feel good . In men as flexibility naturally declines with age , which means that exercises that require flexibility (eg yoga or Pilates ) are not as suitable for men as there are for women. Men are more suitable for more intense workouts , running long distances , etc. The American College of Sports Medicine recommends 150 minutes of moderate-intensity exercise each week for most adults. 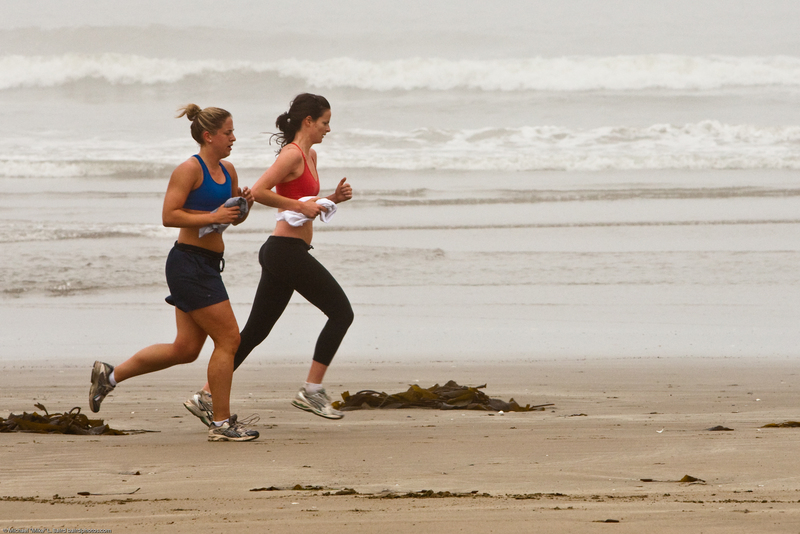 Exercise has been linked with the reduction of stress, improvement in sleep, and weight loss. With many of us in sedentary jobs and juggling outside activities such as school, children and errands, it can feel like exercise is impossible to squeeze in. If you find yourself struggling with balancing both work and exercise, there are many jobs out there that incorporate both. No surprise here. Personal trainers and fitness instructors do truly practice what they preach. Personal trainers will often benefit from working out alongside their clients, ensuring that they are performing the exercises correctly. Fitness instructors have to do exercises with even more stamina and energy, which can prove to be a great workout. A one hour group class can burn some serious calories. Classes being offered at local gyms include a wide variety of interests such as Zumba, Pilates, boot camp and spin. If you are looking for a job that will keep you moving, then a valet parker is for you. Working in valet, you are constantly on your feet and moving. If it is a busy day, it is not uncommon to see a valet parker running to get your car. Since the job is dependent on tips, it is even more incentive to get a move on. Being on the go for an eight hour shift can burn some major calories. Most areas of construction are labor intensive. A career in this field, which includes such jobs as carpenters and builders, utilizes key muscles by lifting, carrying, and laying heavy materials. From the time their shift starts until it ends, they are constantly on the move. Since many are paid upon completion of a project, it provides more incentive to keep up the intensity. In order to become a firefighter, a fitness test must first be completed and passed. One of the most calorie-scorching portions of the test requires them to carry a weighted backpack while climbing five flights of stairs. Although not every day is comparable to that of the fitness test, when there is an emergency firefighters have to rely on their speed and strength to get the job done. Tour guides get the best of both worlds by being able to explore many beautiful sites as well as burning their fair share of calories during their shift. Tour guides are often found in common tourist locations including museums, tours, and excursions. Tour guides are often on their feet for many hours during their shift. If you happen to work as a recreational tour guide, being able to lift and load equipment may also be part of your job requirement. In order to be a part of the military, being in good physical condition is a requirement. The training that those in the military complete makes the civilian boot camp workouts seem a whole lot easier. Their drills commonly include exercises such as crawling, running, jumping, and push ups. It is important for those in the military to be able to maintain physical strength due to the many responsibilities that they have to endure when deployed. Clearly, you’re busy . This is even an understatement. Work, study , friends, girlfriends , children, parents, pets – these are just some of the things that most likely fill your days . And one thing remains often overlooked in everyday life – physical activity. And even when you have time free from obligations often decide that there are better things than to shove in the gym or jog . Going to watch the latest movie to watch the world or some other sporting event or to see friends – these things often take priority over training. Not that I do not know that the movement is good for your health . Precisely because we know most regularly promise how you’re going to run tomorrow and next week how you take a fitness card . Only somehow still appears that you have something else to do exactly the same time . Not necessarily looking for a parking space , which is as close to the front of the store or office. If you park a little further , it allows you to further walking, which may not be much, but it’s better than nothing. This is also a small change , but it is a start. Rather than ride escalators and elevators , try to walk the stairs. Instead of sitting at the computer , use the break to go outside . It may be little , but a walk of 10 minutes will both burn less calories and will diversify – do not need all day to watch the computer and the wall behind it. I hate it when interrupt your favorite show on advertising? Use the interruption in the best way – lie a series of push-ups or crunches . So annoying minutes will pass quickly and you will have done something good for yourself. As it is useful to insert these few things in your life that does not mean not making plans for fitness and running. These four ideas for further movement , not primarily . Do not postpone more tiring and more beneficial activities can not only look good but also feel good .